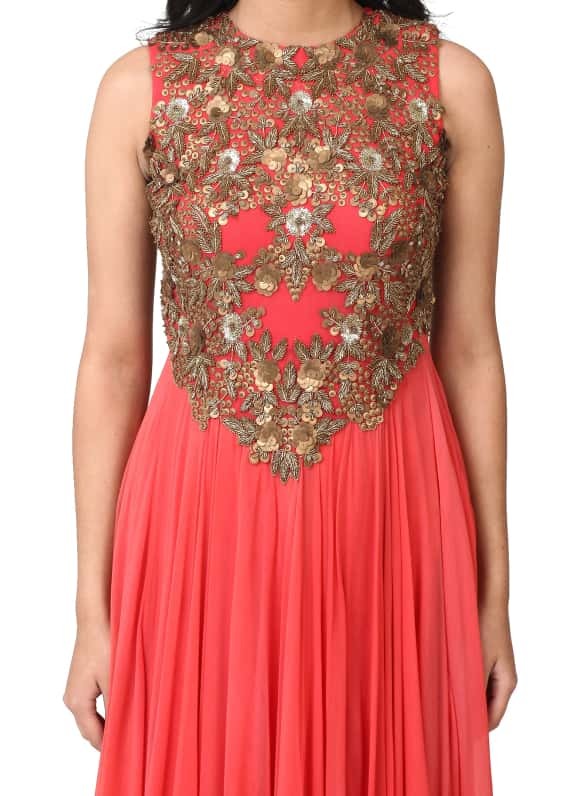 This ensemble features a net anarkali with sequins embellished bodice. 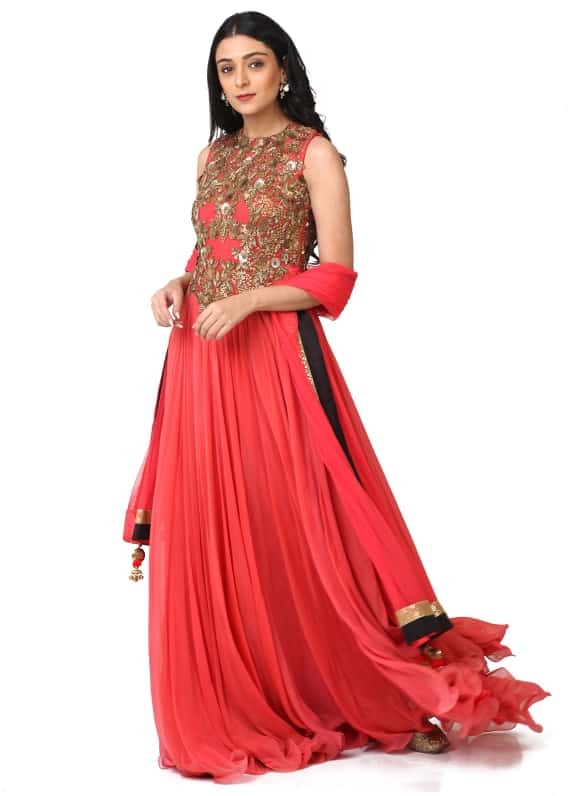 It is paired with a matching churidar and dupatta. 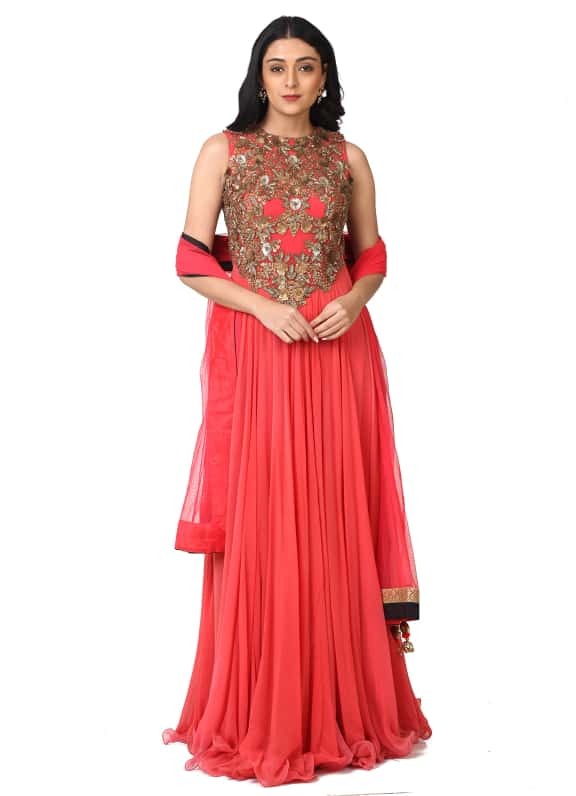 The perfect outfit for a reception night, style your look with a pair of Micare earrings.